The November 5, 2018 Fletcher Ideas Exchange is sponsored by the Henry J. Leir Institute, in collaboration with, the Edward R. Murrow Center. The event was made possible by a grant from the Carnegie Corporation of New York. Mihir Mankad is an award-winning Professor of Practice in Leadership Communications at The Fletcher School, Tufts University, and currently leads many public speaking and media initiatives at the school. His flagship course, The Arts of Communication, has become one of the highest enrolled courses at the school, with over 500 course enrollees from Tufts and Harvard Universities over the past five years. He also teaches adaptive leadership, communication and media handling to various executive groups around the world, ranging from organization CEO’s to senior diplomats. Mihir’s pre-Fletcher career spans a diverse array of fields, including media, management consulting, and nonprofit leadership. Previously, Mihir served as a national television anchor with top channels in India such as NDTV (Business), Zee Sports, and the public broadcaster Doordarshan. In addition to hosting prime-time news bulletins, he was involved in anchoring three of the most viewed television events in Indian history, including the 2008 Olympics, 2010 Delhi Commonwealth Games, and the 2011 Cricket World Cup. Mihir’s experience also includes management consulting at McKinsey and Bain, as well as country leadership of The Clinton Foundation, where he was in charge of of the HIV/AIDS and health access initiatives in India. Mihir holds a Bachelor’s degree in Economics and Psychology from Stanford University, where he was on the national championship tennis team, an MBA from the Kellogg School of Management, and a mid-career MPA as a Mason Fellow from the Harvard Kennedy School of Government. Title of talk: Walls Cannot Stop Mobility: Reversing the African Youth Tragedy in the Mediterranean? Alfred Babo is Assistant-Professor at Fairfield University’s International Studies Program and Sociology and Anthropology Department. Prior joining Fairfield, he taught at the University of Bouaké in Cote d’Ivoire (West Africa) and later at Smith College and University of Massachusetts-Amherst. Babo’s research focuses on sustainable development, social and cultural change, immigration, and post-conflict society. Babo recently published a chapter in the edited volume Child Exploitation in the Global South. 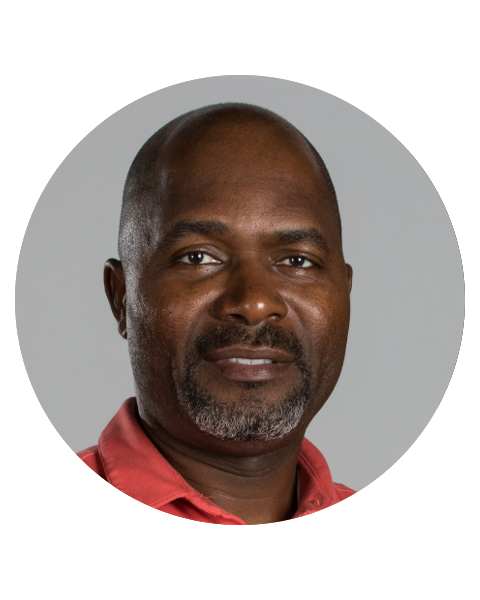 He is currently conducting a research project on “Refugee’s Voice in the Globalized World: Case of Ivorian Refugees in Ghana.” He is a member of the American Anthropological Association, and the International Studies Association. Katrina Burgess is Associate Professor of Political Economy. Before joining The Fletcher School of Law and Diplomacy, she taught at Syracuse (the Maxwell School), Brown, UCLA, and the Autonomous Technological Institute of Mexico (ITAM). She is author of Parties and Unions in the New Global Economy, which won the 2006 Outstanding Book Award for the best publication on labor issues granted by the Section on Labor Studies and Class Relations of the Latin American Studies Association, and co-editor with Abraham F. Lowenthal of The California-Mexico Connection. She has also published numerous book chapters, as well as articles in World Politics, Latin American Politics & Society, Studies in Comparative International Development, South European Politics and Society, Comparative Political Studies, Politica y gobierno, and International Studies Review. Her current project addresses the impact of migration and remittances on the quality of democracy in developing countries. Burgess received a B.A. in political science from Swarthmore College, an M.A. in international relations from the University of Southern California, and a PhD in politics from Princeton University. She has also served as Assistant Director of the U.S.-Mexico Project at the Overseas Development Council in Washington, D.C. and Associate Director of the California-Mexico Project at USC in Los Angeles. Sasha Chanoff is the founder and executive director of RefugePoint, a humanitarian organization that finds lasting solutions for the world’s most at risk refugees and supports the humanitarian community to do the same. He is the co-author of From Crisis to Calling: Finding Your Moral Center in the Toughest Decisions, with a foreword by David Gergen. Prior to launching RefugePoint in 2005, Sasha worked with the UN Refugee Agency and the International Organization for Migration across Africa. He has received social entrepreneur fellowships from the Draper Richards Kaplan Foundation, Ashoka, and Echoing Green. He is a recipient of the Schwab Foundation / World Economic Forum Social Entrepreneur of the Year Award, the Harvard Center for Public Leadership Gleitsman International Activist Award, the Charles Bronfman Humanitarian Prize, and is a White House Champion of Change. He serves on the steering committee of New England International Donors and is an human rights advisor to the Leir Charitable Foundation, and an advisor to the Good Lie Fund, the philanthropic arm of the Warner Bros. film, The Good Lie about the resettlement of the Sudanese Lost Boys and Girls. He holds a B.A. from Wesleyan University and an M.A. in Humanitarian Assistance from The Tufts Fletcher School of Law and Diplomacy and the Friedman School of Nutrition, Science, and Policy. He lives in Somerville, Massachusetts with his wife and two children. Victoria Kulesza is the proud daughter of two political-asylum seekers from Soviet-occupied Poland and a Detroit-native. In 2014, she interned for a migration-focused NGO in Spain, ACCEM, rescuing “irregular” migrants and asylum seekers from the detention center in Barcelona and saw firsthand how those knocking on Europe’s gate navigated daily life. Back in Detroit, she spent two years seeing how migrants served as support for whole industries, such as the Midwestern dairy industry; as well as aiding Freedom House Detroit (an organization that supports the needs and rights of asylum seekers in Detroit) with their ESL programs and agency development. Before Fletcher, Victoria interned under the Strategy, Policy, and Standards area of the UNFPA which led to General Motors’ Global Operations branch where she served as a technical analyst for two years. Karen Jacobsen is the Henry J. Leir Professor in Global Migration at The Fletcher School of Law and Diplomacy and the Friedman School of Nutrition, and directs the Refugees and Forced Migration Program at the Feinstein International Center. Professor Jacobsen’s current research explores urban displacement and global migration systems, with a focus on the livelihoods and financial resilience of migrants and refugees. In 2013-2014 she was on leave from Tufts, leading the Joint IDP Profiling Service (JIPS) in Geneva. From 2000-2005, she directed the Alchemy Project, which explored the use of microfinance as a way to support people in refugee camps and other displacement settings. Professor Jacobsen’s publications include "A View from Below: Conducting Research in Conflict Zones," (with Mazurana and Gale), and "The Economic Life of Refugees" (2005), which is widely used in courses on forced migration. She is a citizen of both South Africa and the U.S., and lives in Brookline with her son and two dogs. Maria Teresa Nagel is a MALD 2018 student at the Fletcher School of Law and Diplomacy, focusing on Migration Policy in the Americas and Development Economics. Maria Teresa has interned with the International Organization for Migration (IOM) in Costa Rica, she has worked for the Regional Conference on Migration, has conducted field research on the financial journey of extra-continental migrants through Central America, and worked as a legislative analyst for a Mexican consulting firm. Her volunteer experience includes registering new citizens to vote with the Massachusetts Immigrant and Refugee Advocacy Coalition (MIRA) and translating for detained Central American migrants in Texas with Asylum Seeker Advocacy Project (ASAP). Maria Teresa is also a Commonwealth Corps alumna. Graeme Rodgers (PhD) is a Technical Advisor for research at the International Rescue Committee (IRC) in New York. He is responsible for developing a research program to support stronger evidence-based programming for IRC’s US Programs. Trained as an anthropologist, he has more than twenty years of research experience on the local social and economic consequences of forced migration and refugee settlement, in both urban and rural contexts. He has developed and taught courses on forced migration at universities in South Africa (Witwatersrand, Rhodes), the U.K. (Oxford) and the United States (New School) and has consulted widely on the displacement risks of large-scale development initiatives in conflict-affected environments in Africa. Kim Wilson, Lecturer in International Business and Human Security, began her interest in development when she entered the microfinance field in its infancy, after a career in mainstream venture financing. She began as a volunteer, a first step that led her to professional employment as a loan officer, MFI director, and investment fund advisor for both non-profit and for-profit microfinance ventures. She also oversaw the microfinance portfolio of a large international NGO. Her work in microfinance has led her to service in other sectors critical to rural development such as water, agriculture, and education. She is a Senior Fellow at The Fletcher School of Law and Diplomacy's Council on Emerging Market Enterprises and also at the Feinstein International Center. She graduated from Wellesley College and Simmons Graduate School of Management. She is interested in the financial resilience of households and markets at the base emerging market economies. 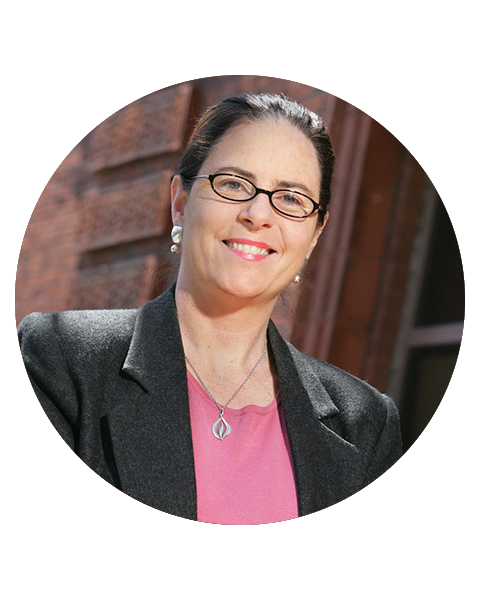 She is the 2009 recipient of the James L. Paddock teaching award at The Fletcher School. Have a question? Send us a message, and we'll get right back to you!